Crochet! Magazine’s newest special issue is out! 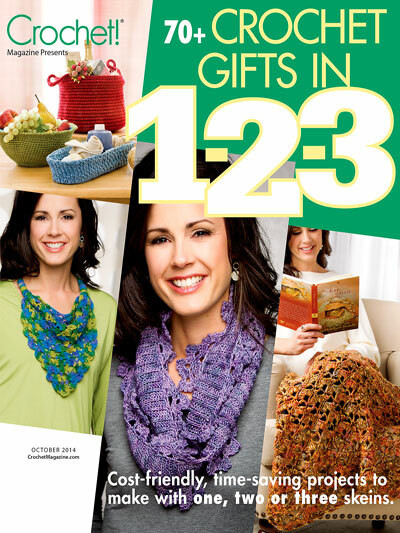 It’s filled with over 70 crochet patterns that are cost-friendly AND time-friendly. The issue is packed full of a variety hats, scarves, slippers, wraps, jewelry, accessory cases, purses, baby items, throws, lap robes, kitchen items, baskets, organizers, pillows and more. Included is my Forever scarf, pictured below. You can purchase this special issue direct from the Crochet! Magazine website. And if you don’t want to wait, download the issue right now! This entry was posted in Crochet and tagged Crochet Cowl, Crochet! Magazine, Forever Scarf. This scarf is gorgeous, Carrie and so simple! I picked up the magazine a few days ago and already have a bookmark on that page.